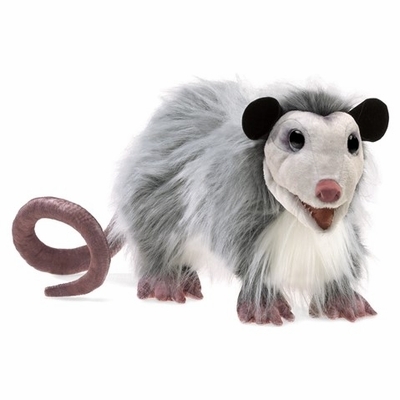 Folkmanis 3119 - Creepy yet cute, the Folkmanis® Opossum puppet is realistic enough to fool your friends. 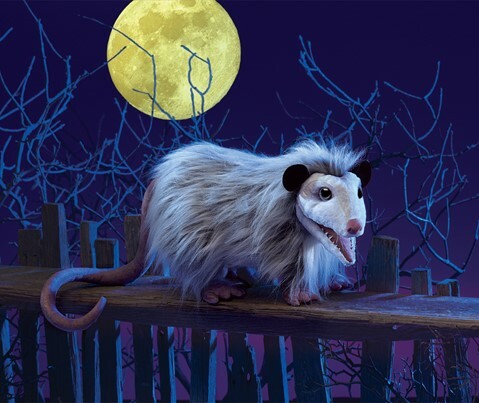 Play "possum" and be ready for squeals of delight and awe when you animate the mouth and display the rat-like printed tail. Movable mouth and forelegs. Puppet measures 24” long x 9” wide x 8” tall.